45 days. Cucurbita pepo. Open Pollinated. 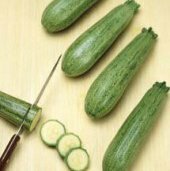 Bush plant produces high yields of 7" long zucchini. 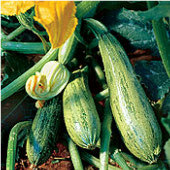 The squash is medium green with silvery speckles and is straight and smooth at young stage. 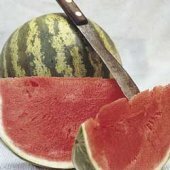 It is firm, mild, and very tasty. Best harvested when 5" to 7" long. A favorite in Southwest of the United States and in Mexico. Heat Tolerant. 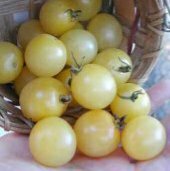 Excellent choice for home gardens and market growers. A summer squash variety.